Get a feeling of what a wedding reception in Endless Ocean and the Observatory looks like by clicking on the links to the right. 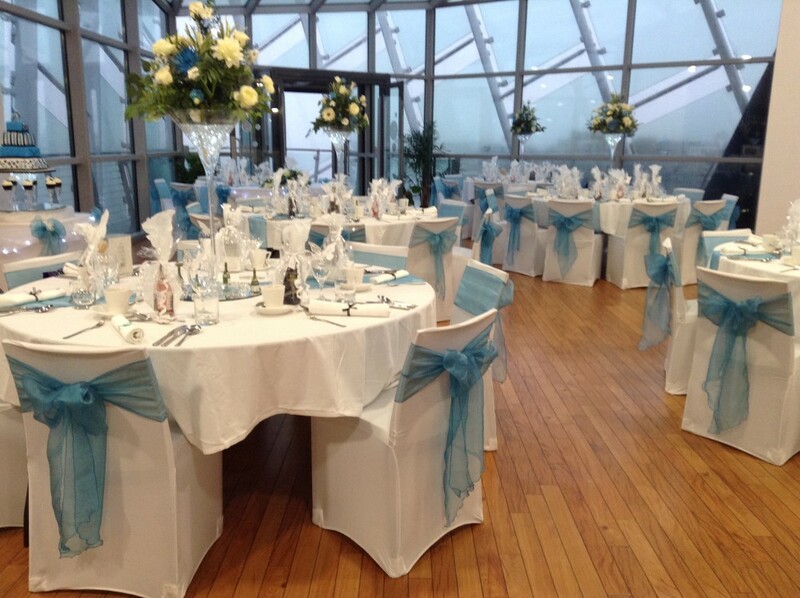 All of the venue styling was carried out by Style My Venue of Hull who are highly recommended by The Deep. More images and information can be viewed in our downloadable wedding book. Viewings of The Deep are generally conducted outside normal visitor attraction opening hours. 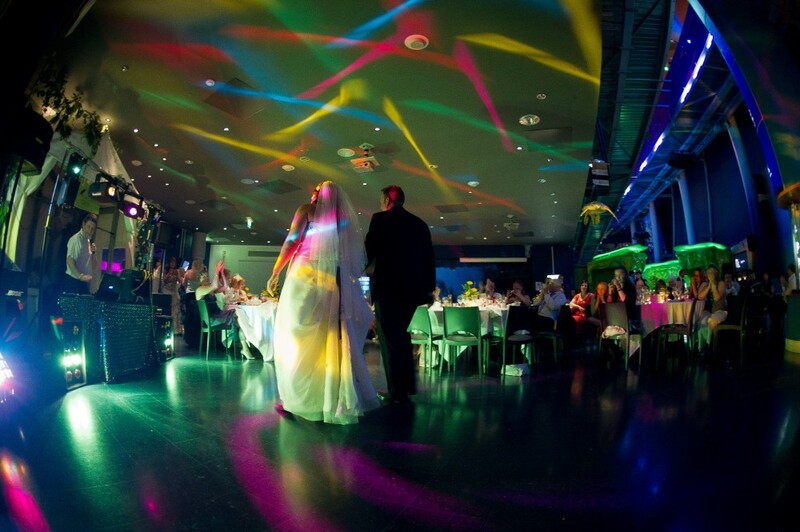 Appointments can be made with our Business and Corporate Manager by calling 01482 382000 or emailing weddings@thedeep.co.uk. 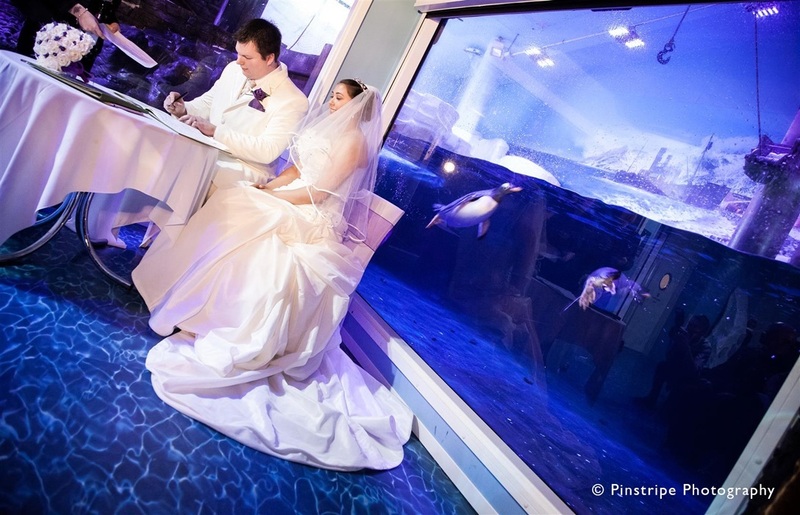 It is important to the team at The Deep that your wedding day is everything you want it to be. 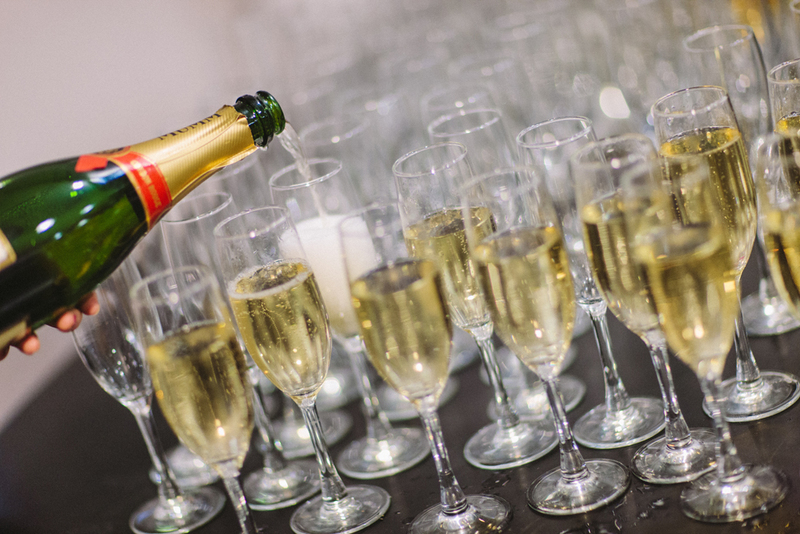 And to help take the stress out of the detailed planning, we have a whole host of complimentary extras that can be provided if you wish to use them; from fish bowls to glass vases, artifical flowers to table sprinkles, candles to table plan stand. 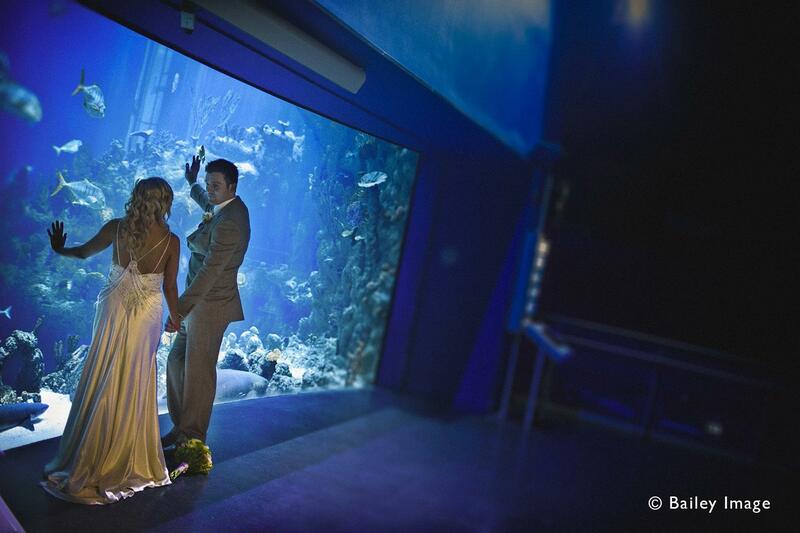 Wedding photography is welcomed at The Deep. Due to the nature of the building and the live exhibits contained here, it is important we work closely with you to ensure you are able to capture all those special moments without causing harm to our animals. You can download our guidance notes here. Your first meal as a married couple is extremely important, so be assured that our in-house chefs can muster up a masterpiece. From simple canapés to a three course dinner, all our food is sourced locally, prepared in-house and served to you by our experienced corporate team. We offer a wide range of menus to choose from, please view these sample menus to see just a few examples of what we can do. We do not allow external catering to be brought onto site. We are able to cater for special dietary requirements including gluten free, dairy free, vegetarian and vegan. Thank you to all the deep team, for making our wedding on Saturday so amazingly perfect! It was all our dreams come true and we couldn’t have wished for a better team of people to help us make our day so special. To all the staff at The Deep – thank you for making our day so special and hassle free. Thank you! It truly was a magical day, It really was everything that we had hoped for and it all ran so smoothly. Your staff where excellent throughout it all and I couldn’t thank them enough. Thank you for all your hard work in making our special day as beautiful as it was. Thank you for the photos the room and everything looked fantastic and was better than we hoped. The food was all terrific and the staff were all so unbelievably good, everyone could not stop singing their praise. Please pass on our thanks and gratitude to them for everything they did to make our night go so well and so smoothly.